Attacks on IoT, Cyber-Physical-Systems (CPS), and other computing systems are evolving rapidly. As a result, IoT devices used in critical infrastructures such as energy, health-care, and water supply systems are vulnerable to attacks. A successful attack on such safety-critical infrastructures may have life-threatening consequences. On the other hand, existing security mechanisms are not enough to protect constrained IoT devices. Therefore, we need better security mechanisms and tools to manage and protect IoT devices from malicious use. In emerging paradigms like Internet-of-Things (IoT) platforms, Industry 4.0, collaborative portals, and many others, we deal with a multi-tenant architecture. In a multi-tenant architecture, the owners want to secure their own integrity, confidentiality, and functionality goals without being concerned about the goals of other entities. In this paper, we present a framework to negotiate, compromise, and inter-operate between different services or platforms to fulfill a purpose. Furthermore, to ensure correct and safe operation of IoT systems, we must assure that the integrity of the underlying systems and processes is properly executed as intended i.e., the processes cannot be changed in an unauthorized way. 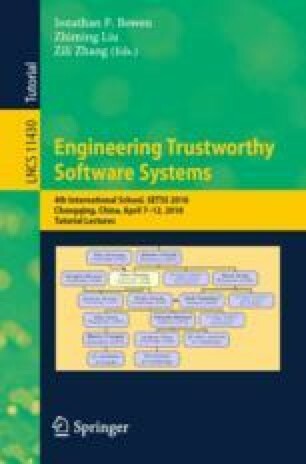 In this paper, we present our Petri Net based workflow specification and enforcement framework to realize workflow-aware access control and to protect the process integrity of IoT applications. The Petri Net models are amenable to formal verification. The resulting workflows have other properties such as the ability to recover from error conditions. In addition, we present a method to achieve distributed access control and accountability integrated with our framework. We allow practitioner-friendly tools to collect requirements and goals to design secure IoT systems and processes. Finally, we present a guide to implement our framework with existing development environments and validate the methodology using concrete use case scenarios. We thank Professor Jonathan P. Bowen for his suggestions and reviewing this article.